According to a recent news article from the Boston Herald, a nurse from Beverly, Massachusetts is accused of drunk driving while being involved in a car crash in which she allegedly crashed into a Massachusetts State Police Trooper following a Patriots game. Troopers say the 29-year-old nurse was leaving Gillette Stadium in Foxboro, Massachusetts just after midnight, when she allegedly hit a state trooper on Route 1. The trooper was directing traffic following the game at the time she was hit. When authorities approached her to investigate, they claim they could immediately detect a strong odor of alcohol, she had slurred speech, and she was unsteady on her feet. She apparently told troopers that she had only one glass of wine during the Patriots game, but during the arraignment, the judge said that must been a very large glass of wine, before releasing her on $1,000 cash bail. 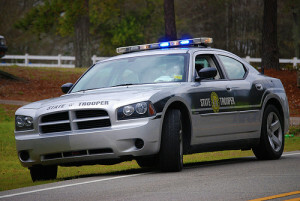 Prior to placing her under arrest, troopers asked suspect to perform a standardized field sobriety test, which she reportedly failed, and they also performed some tests that are not part of the standardized battery approved by the National Highway Traffic Safety Administration (NHTSA). These non-standardized tests included repeating the alphabet, which she was allegedly able to do. This was repeating the alphabet forward, not backwards, as is commonly seen on television but not commonly done in real life. In reality, most intoxicated people cannot even say the alphabet forward without slurring or missing letters, so the backwards recitation is not needed, as that would be difficult for most sober people. After several attempts to say the alphabet, and after failing the standardized field sobriety tests, troopers placed her under arrest for drunk driving, or operating a motor vehicle under the influence of alcohol (OUI), as it is called Massachusetts. Witnesses say she was not aware that she had struck the officer until they told her as she was driving away. It should be noted that she has not been convicted of any crime in connection with this alleged drunk driving accident in the greater Boston area, as she is presumed innocent unless and until she is found guilty beyond a reasonable doubt in a court of law. Fortunately, the trooper did not suffer any broken bones after being hit by defendant’s jeep. He did, however, suffer a personal injury following the alleged drunk driving car accident and is still sore from where the car made contact with him. He was treated and released from a local hospital immediately following the accident. Prosecutors asked for the woman to be held without bond and cited that she had an open domestic violence case, but the judge said he could not, at that time, find she was danger to public safety and released her on the $1,000 bond with an order that she not drive after consuming any alcohol. Meanwhile, her defense attorney said she only hit the officer because a passenger told her there was a pedestrian in front of her car and she “instinctively” swerved to avoid hitting the pedestrian and struck the state trooper.